Is putting together healthy meals and snacks a challenge? I’ve got ya covered! I’ve put together my favorite things to buy from Costco that are perfect for making quick and healthy meals and snacks. 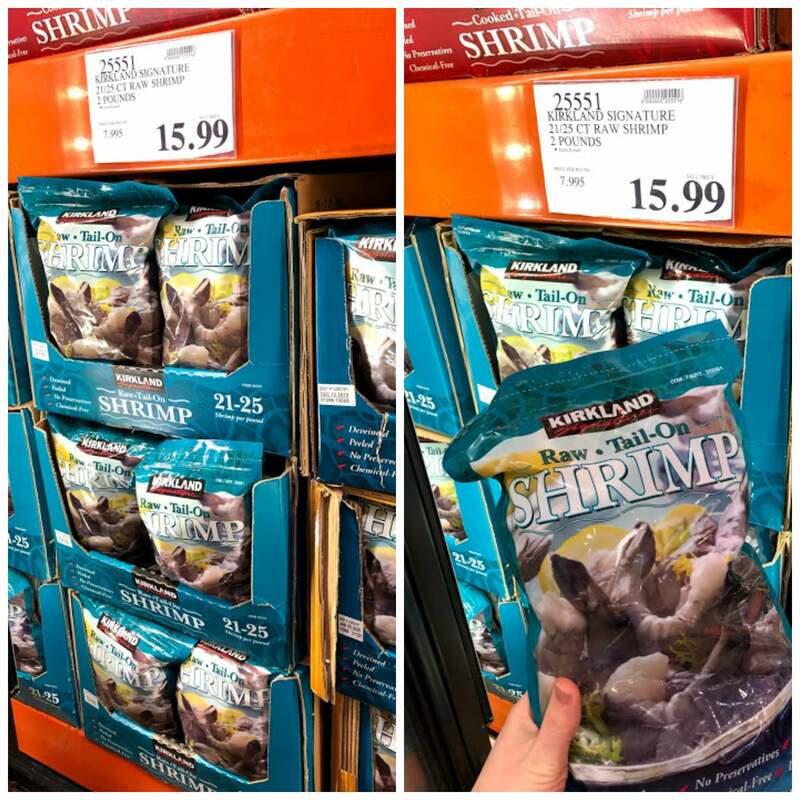 I love shopping at Costco! But I will say that some things are more cost-effective than others, especially for my family. 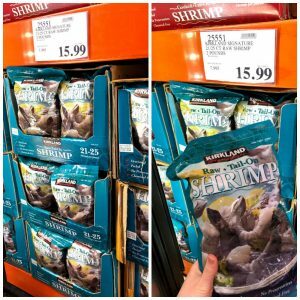 However, of these 15 Things to Buy at Costco, I feel like I’m getting a really great value, and with most items on this list, even better than what I would find at a grocery store. Like this recipe? Be sure to pin it to your HEALTHY MEALS board on Pinterest! Follow DelightfulEMade on Pinterest for some of the very best Healthy Eating ideas! 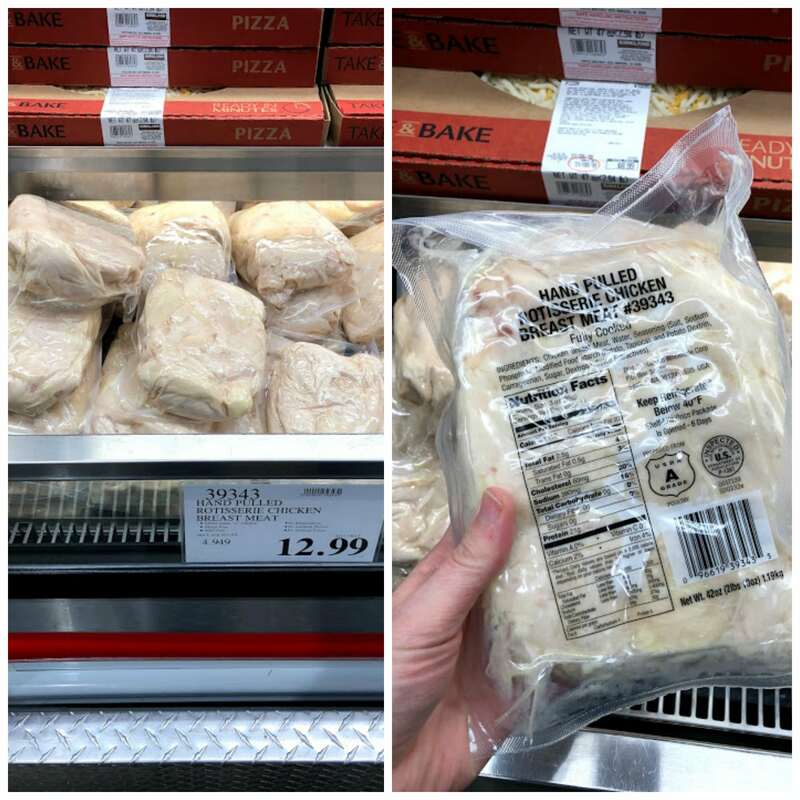 Avoid Costco on the weekends. The parking lot alone is a nightmare, and getting in and out of there unscathed is nearly impossible. Do your best to plan on getting their during the week. Weekday mornings are always a good time – everything is well stocked, clean and un-crowded. Go by yourself, not with your kids. I feel like this is a good rule of thumb any time you are shopping. When you are there by yourself, you can get in and out relatively quickly, and you don’t have little hands randomly putting extra stuff in your cart, or having a melt-down in the middle of the frozen foods section. Don’t go hungry! Those samples will get you every time. Eat breakfast or lunch, and then plan on doing your shopping on a full stomach. It’s true what they say, if you are hungry while grocery shopping, you’ll make all kinds of unhealthy choices that you would never make if you were full and focused. ALWAYS have a list! Having and following your list is not only helpful in staying within your budget, it is really helpful in making healthy food choices. Additionally, when you are meal prepping for your week, it’s critical to have all of your needed ingredients when it comes time to do the cooking. If you don’t have a list, you are much more likely to forget something, and then your plan for meal prepping is nearly shot before you even start. Good news, you guys! 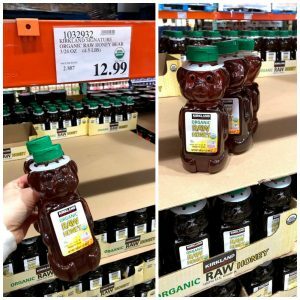 I’ve created a list, specifically for Costco. It includes all my favorite items, plus extra room to jot down your other necessities (I also love buying laundry detergent, dishwasher tabs and toilet paper at Costco!) Get your list here! This might be my favorite thing to buy at Costco. 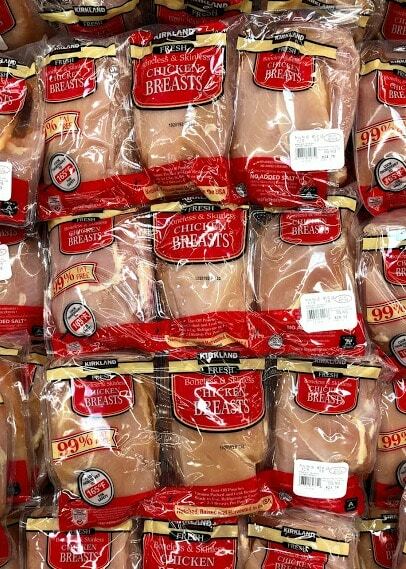 Not only is this chicken precooked and ready to be put in soups, salads and numerous other recipes, it’s already shredded for you. Yes, you could purchase a rotisserie chicken and shred it yourself, but that takes time. 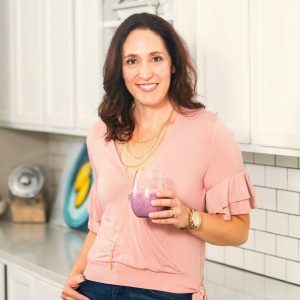 On weeknights, when time is especially tight, I need things that are quick, simple and healthy. This chicken checks those boxes! These a big-time family favorite at my house. With 20 grams of protein per burger, they’re also an awesome healthy option for lunches and quick dinners. 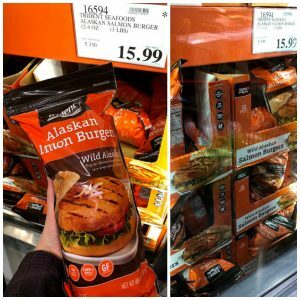 I love these salmon burgers because you don’t have to thaw them. We love grilling these on our outdoor grill, but you can also pan-sear or cook them on an indoor grill pan. Pair with some veggies and rice and you’ve got yourself a healthy, delicious dinner! I prefer wild caught salmon versus farm raised. It tastes better, and might be a little more nutritious. Caveat: it’s also a bit more expensive than farm-raised. However, I’m happy to pay a little more money for a better cut of fish. 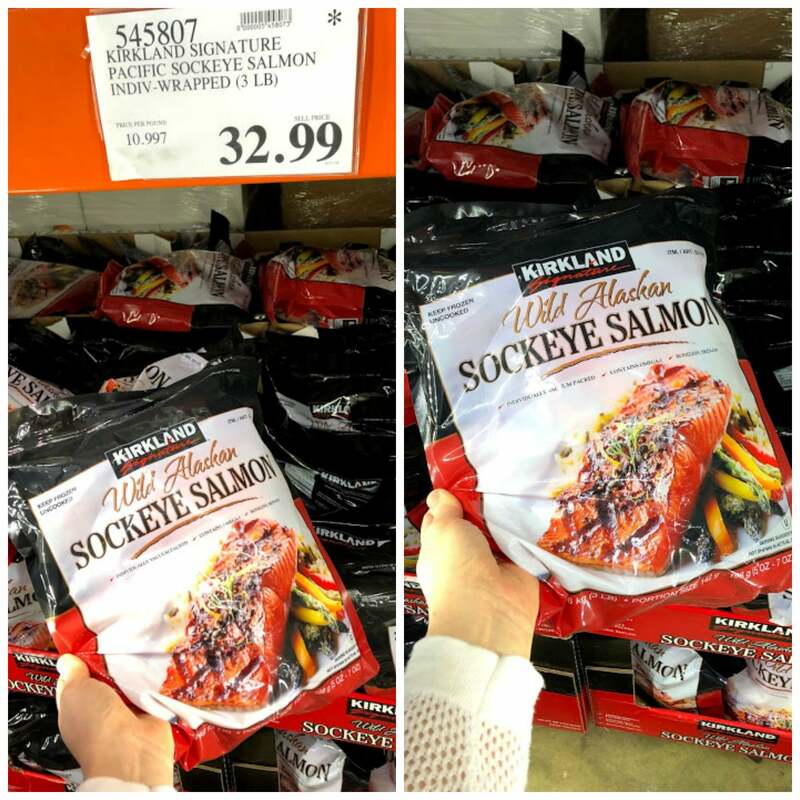 I also love buying this salmon because the filets are individually wrapped, so I can take out just what I need, versus thawing the entire package. This is actually a rather new Costco discovery for me, and I was super pumped when I found it! This package contains 5, 16 oz (microwave steamable) bags of rice. 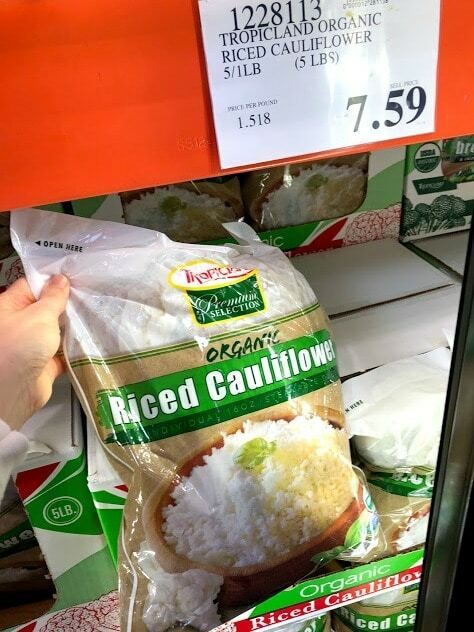 I absolutely love using cauliflower rice any time I’m meal prepping healthy lunches for the week, and perfect to keep on hand for quick weeknight dinners, too! 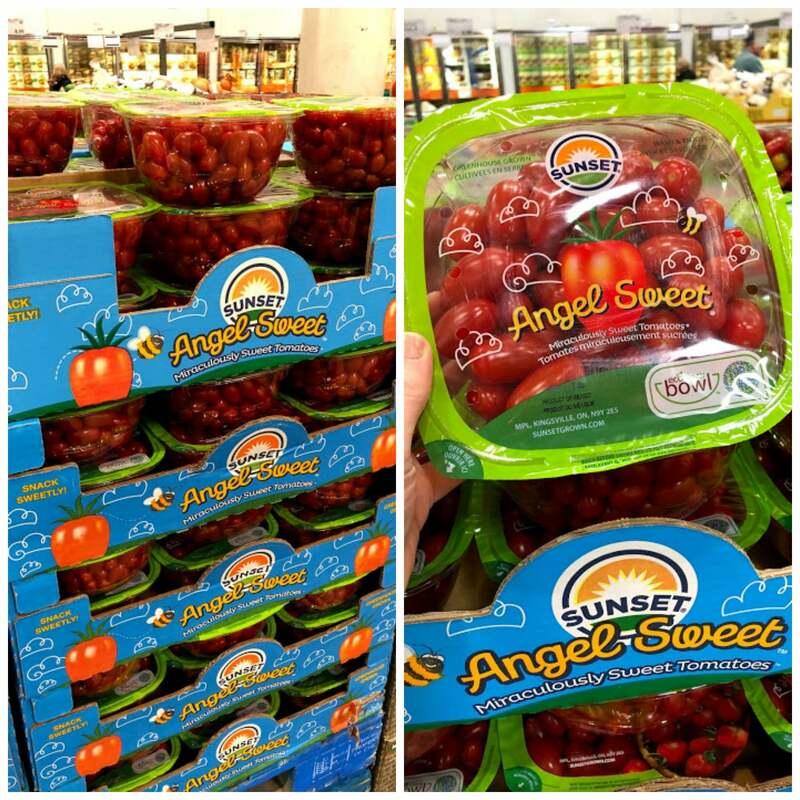 Berries are something my family pretty much always loves for breakfast and snacks. 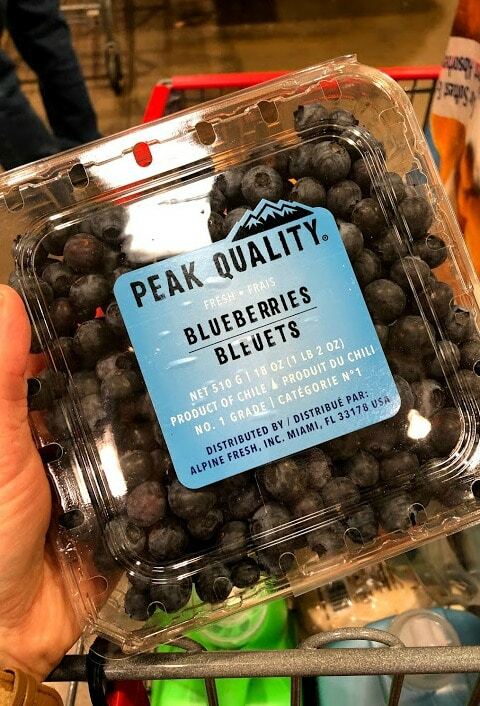 On top of yogurt or in a smoothie, berries are a healthy and tasty ingredient. 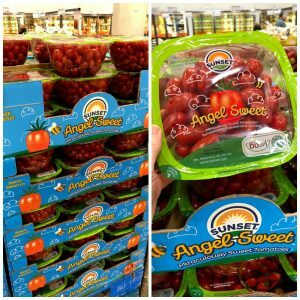 Depending on the season you can get a good sized container of berries for a reasonable price. If your family is anything like mine, we go through apples at warp-speed rate! 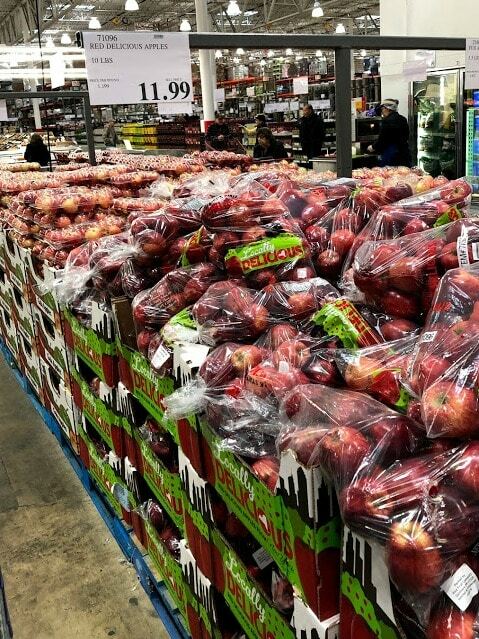 That’s a good thing, as I want my family to be eating healthy fruit, and apples are always a great grab-and-go snack. I will slice these to add to my sons’ lunch box or snack with a little bit of nut butter. 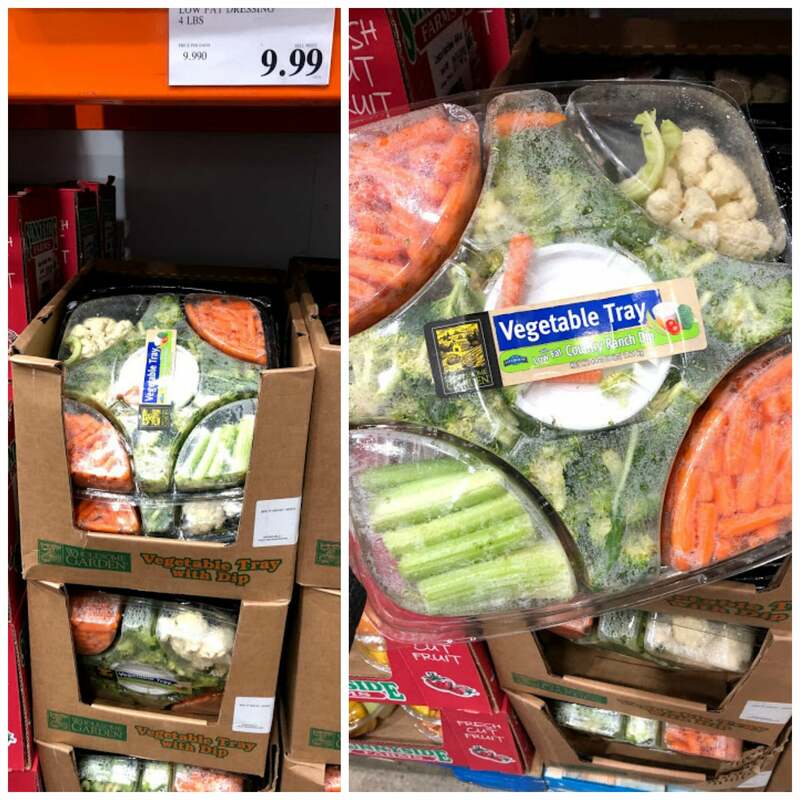 FYI – you do NOT have to have a party to buy this vegetable tray. This is also one of my favorite things to buy at Costco. 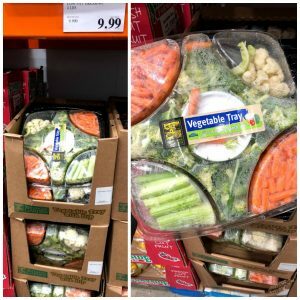 This veggie tray is a great way to buy an assortment of vegetables that are already pre-washed and cut. It also comes with a low-fat dip. This is great for snacking, lunchboxes and even for steaming as a side for a weeknight dinner. Any type of spring or spinach mix is something I pretty much always have in my refrigerator. Making a quick salad or meal-prepping salads for the week, a good salad mix is essential. 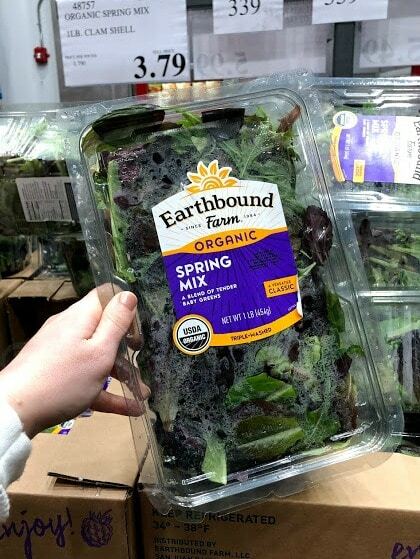 I’ve discovered that the price of this Organic spring mix is the best around at $3.79. I’ve checked at multiple stores and locations, and it is rare to find a lower price anywhere else. Cherry tomatoes are another produce item that pretty much always have on hand. I love mixing these into a pasta dish or simply snacking with my lunch. I will also add these to just about any salad I make or meal-prep. I will say that up until recently, I did NOT buy eggs at Costco. You use to only be able to buy the giant 5-dozen pack of eggs, which was too much for my family to consume before they would go bad. 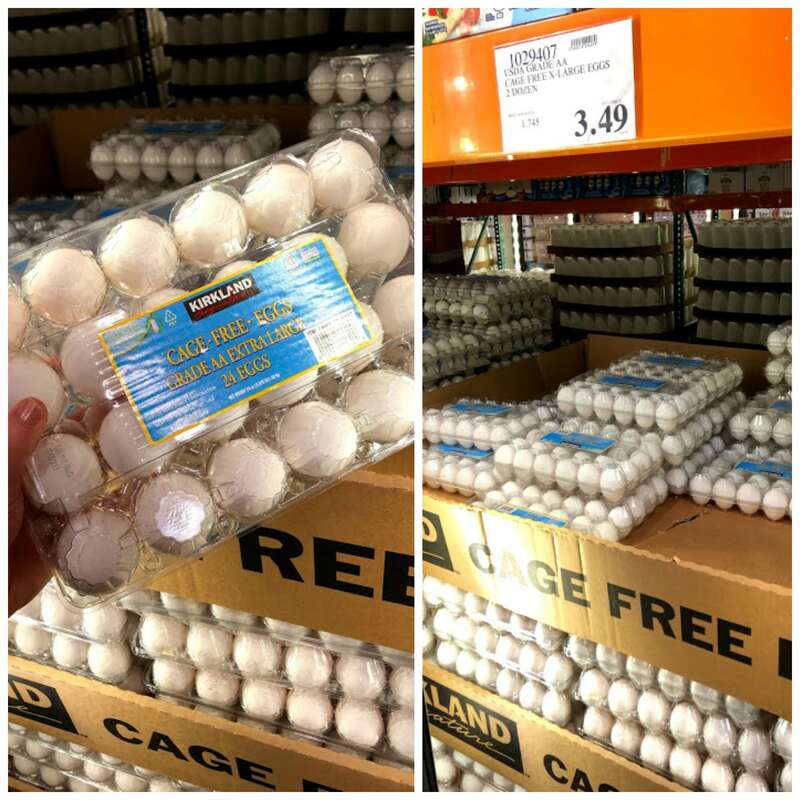 HOWEVER, Costco recently started selling 2-dozen cartons of eggs. Rejoice!! This is the perfect amount, and great for all things breakfast! Chicken breasts are something that I pretty much always have in my freezer to take out for a quick weeknight meal. In the summer we will grill these almost once a week. In the winter, they are a staple in my slow cooker or for skillet dinners. I like the fact that these come pre-sealed in 6- 1 lb. sections so you can use them as needed. 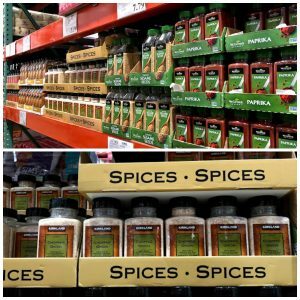 Spices might just be the absolute best value for your buck at Costco! 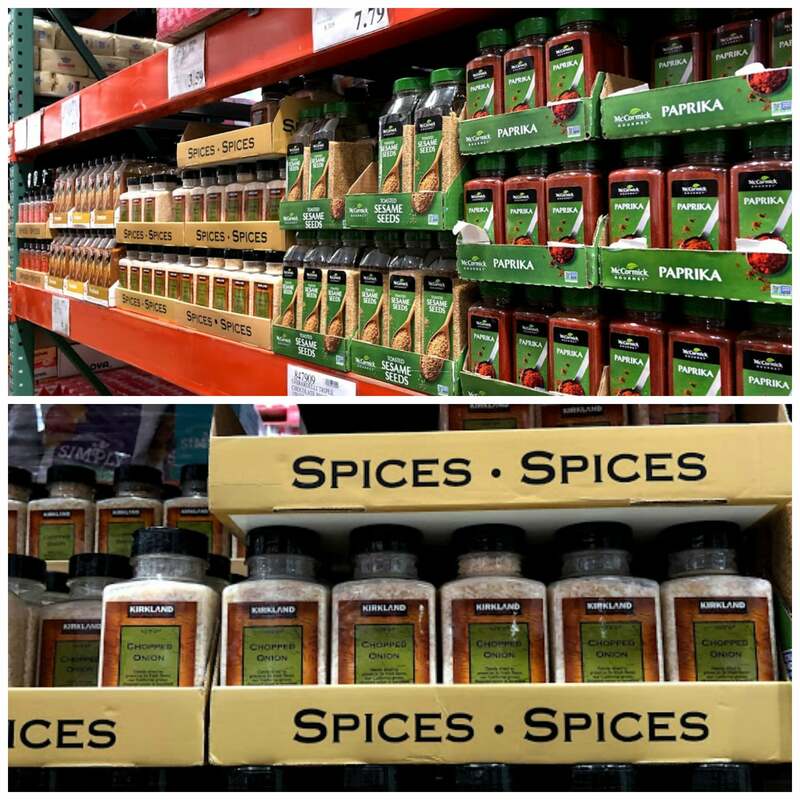 Depending on the item, you can typically get 6-8x more for your money than a regular sized container from the standard grocery store. I love picking up things like Dry/Minced Onion (which I use pretty often), taco seasoning and Montreal Steak Marinade. This is a pantry staple at my house. 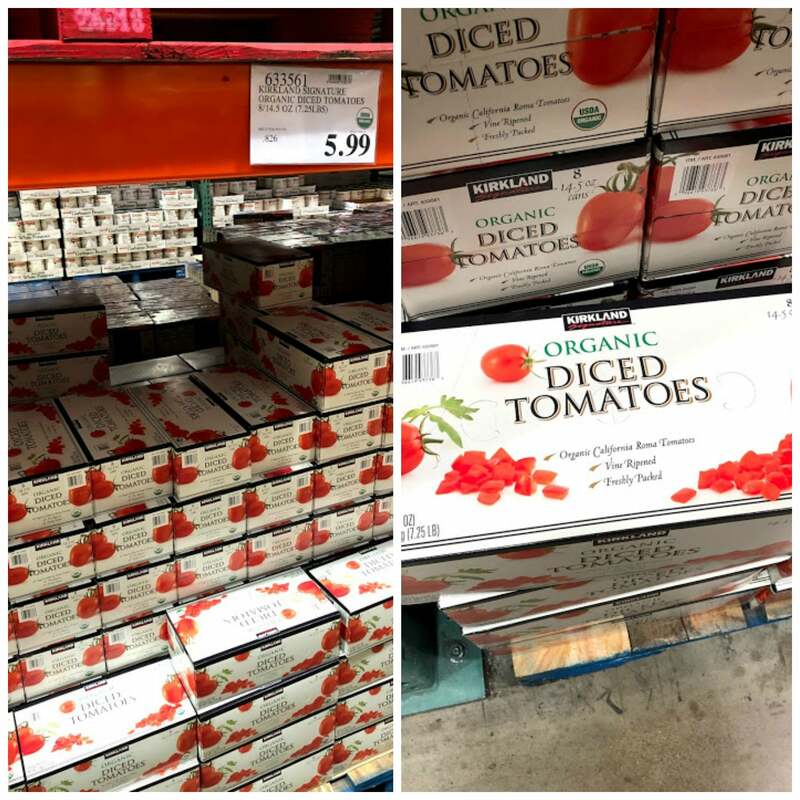 I continually use diced tomatoes a few times a week, and are great for pasta dishes, soups and stews. It’s a great price for organic. Once again, this is an amazing price for organic! We enjoy honey at our house, but I also like having something organic as an option to top my yogurt and berries, or to add to smoothies for a sweetener. There you have it! 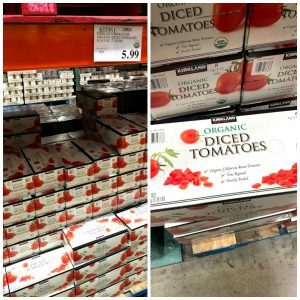 My 15 Essential Items that I always buy at Costco for making quick & healthy meals and snacks. 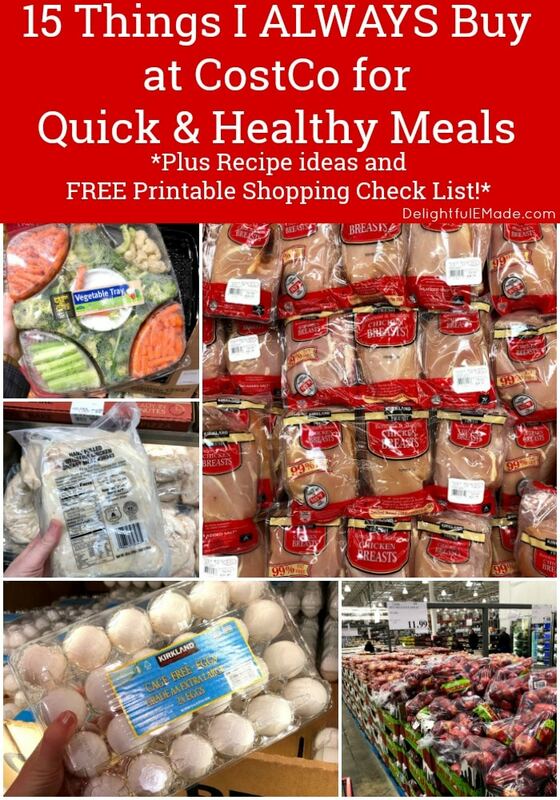 I hope this list along with the recipe ideas is helpful in getting dinner on the table or lunches meal-prepped for the week.